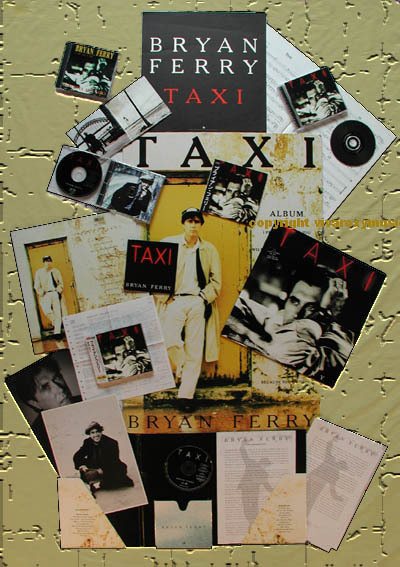 Released in UK on 22nd March 1993, Bryan's eigth solo album came seven years after Bete Noire, the longest period to date between Bryan's albums. After several years working on an album with a working title of 'Horoscope', Bryan decided to do something different. He had just recorded Are You Lonesome Tonight? for the soundtrack to 'Honeymoon In Vegas' in 1992 and this became the catylist to record some old songs. The album peaked at number 2 in the UK album charts. The Japanese edition contained Are You Lonsome Tonight? as a bonus track. I Put A Spell On You reached number 18 in UK, Will You Love Me Tomorrow reached number 23 and Girl Of My Best Friend peaked at 57. 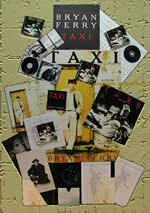 The album was dedicated to Bryan's mother, Mary Ann Ferry, who died in 1991. Are You Lonesome Tonight? B-side to the 'Girl Of My Best Friend' single. Bryan Ferry Vocals Piano & Strings On "I Put A Spell On You", Vocals Piano & Synth On "Will You Love Me Tomorrow", Vocals Organ & Witch On "Answer Me", Vocals Piano & Strings On "Just One Look", Vocals, Piano, Synths & Witch On "Rescue Me", Vocals, Piano, Organ & Strings On "All Tomorrow's Parties", Vocals, Piano & Organ On "Girl Of My Best Friend", Vocals & Piano On "Amazing Grace", Vocals, Piano, Strings & Witch On "Taxi", Piano, Strings & Ben Nevis On "Because You're Mine"
Carleen Anderson Vocals On "I Put A Spell On You", Vocals On "Answer Me", Vocals On "Just One Look", Vocals On "Rescue Me", Vocals On "All Tomorrow's Parties", Vocals On "Amazing Grace", Vocals On "Taxi", Vocals On "Because You're Mine"
Neil Hubbard Guitar On "I Put A Spell On You", Probe Guitar On "Will You Love Me Tomorrow", Trace Guitar On "Answer Me", Lead Guitar On "Just One Look", Licks Guitar On "All Tomorrow's Parties", Lead Guitar On "Girl Of My Best Friend", Rhythm Guitar On "Amazing Grace", Licks Guitar On "Taxi"
Robin Trower Fender On "I Put A Spell On You", Wah Wah On "Will You Love Me Tomorrow", Wah Wah On "Answer Me", Theme Guitar On "Just One Look", Pin Guitar On "Rescue Me", Wha Wah On "Girl Of My Best Friend", Pocket Guitar On "Taxi"
Michael Brook Atmos Guitar On "I Put A Spell On You", Atmos Guitar On "Will You Love Me Tomorrow", Lead Guitar On "Rescue Me", Lead Guitar On "All Tomorrow's Parties", Atmos Guitar On "Amazing Grace", Infinite Guitar On "Because You're Mine"
Greg Phillinganes Vibes & Strings On "I Put A Spell On You", Synthesizer On "Will You Love Me Tomorrow", Synthesizer On "Just One Look", Synthesizer On "All Tomorrow's Parties", Synthesizer On "Girl Of My Best Friend", Synth & Harp On "Amazing Grace"
Richard T. Norris Programing On "I Put A Spell On You" Programing On "Answer Me", Programing On "Just One Look", Programing On "Rescue Me" Programing On "Taxi"
Nathan East Bass On "I Put A Spell On You", "Will You Love Me Tomorrow", "Answer Me", "Just One Look", "Rescue Me", "All Tomorrow's Parties", "Girl Of My Best Friend", "Amazing Grace" & "Taxi"
Steve Ferrone Drums On "I Put A Spell On You", "Will You Love Me Tomorrow", "Answer Me", "Just One Look", "Rescue Me", "All Tomorrow's Parties", "Girl Of My Best Friend", "Amazing Grace" & "Taxi"
Maceo Parker Alto Sax On "I Put A Spell On You"
Steve Pearce Bass On "Will You Love Me Tomorrow"
Luis Jardim Percussion On "Just One Look" & "All Tomorrow's Parties"
Chris Stainton Hammond On "Just One Look"
Mel Collins Tenor Sax On "Rescue Me"
Davis Sancious Hammond On "Amazing Grace"
Andy Mackay Alto Sax On "Taxi"
Andy Newmark Drums On "Taxi"
Flaco Jimenez Accordian On "Amazing Grace"
David Enthoven Management At I.E. Juliet Mann Management At I.E. Derek Sutton At Stardust Int.